Read the entire article. Excerpts below. Written by Tracy Letts, “August: Osage County” centers on a missing father, a mother with a pill habit and three sisters with their own share of little secrets. When the larger family has to unexpectedly reunite after Dad disappears, their Oklahoma family homestead becomes a place full of tumult, unsettling mysteries with plenty of scathingly acidic and uproarious dialogue. “We all know a family, group of people that are what we consider a ‘trainwreck,’ but we fail to realize that those ‘trainwrecks’ are fully functioning families with ups and downs, with good and bad times, just like everyone else,” said David S. Rawlings who plays Steve Heidebrecht. “I wanted the opportunity to dig deep and find the crevices of my character Barbara Fordham, the joys, the struggles, the pain, what twists and turns she emotionally encounters and how she prevails,” said Beth Gilles-Whitehead. “This show will engage you. You will see your own family in many ways, and in many other ways, you will be grateful to note the differences! You will be thoroughly entertained,” said Mary Zuzik Andrechik who plays Karen Weston. “For a play that can be quite serious at times, it is also hilarious. A lot of the humor in the show comes from the same place: identifying with, or at least recognizing, these characters in our own families and ourselves,” added Andra Whitt who plays Ivy Weston. Providence Players presents “August: Osage County” at James Lee Community Center Theater, 2855 Annandale Road, Falls Church. Performances: March 29 to April 13, 2019. 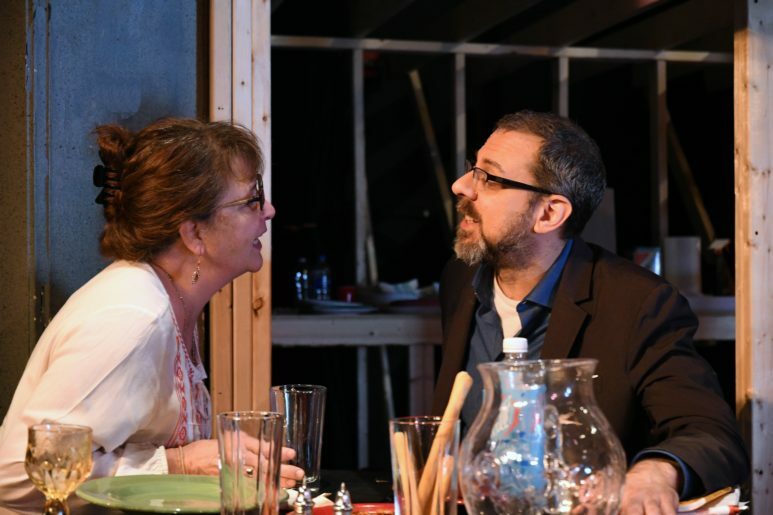 ← “August: Osage County” – Top 8 Reasons to See This Production!